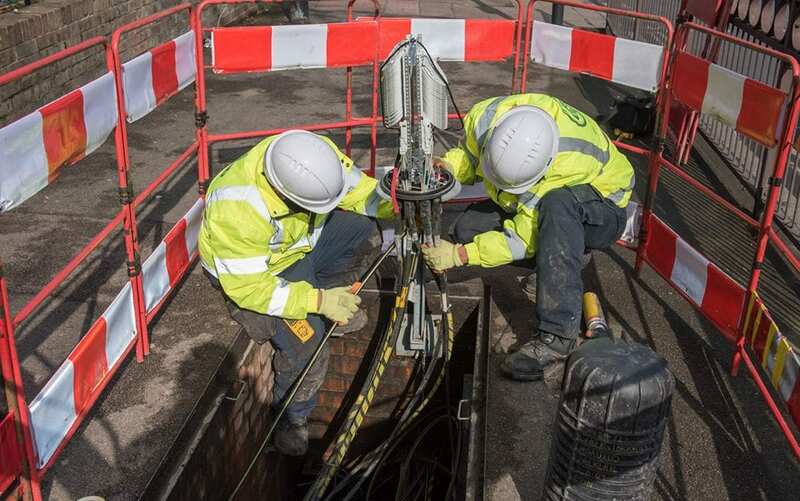 Supporting a national effort to increase the UK’s fibre coverage as quickly as possible, DTC provides teams of trained service engineers to deploy next-generation fibre optic infrastructure – bringing FTTX service benefits to businesses and consumers. Flexible enough to work across the tier 1 and tier 2 supplier space, we can support all stages of fibre network deployment, from initial route design and preparation to the physical blowing of fibre, subsequent splicing, testing (OTDR and ILM) and troubleshooting. The importance of health and safety is paramount across all TNS activities. That’s why DTC adopts a thorough compliance approach, covering standards, administration, documentation and project management. Why engage DTC’s Fibre Infrastructure Services? Tier 1 and tier 2 relationships – We can work directly with network providers or as a sub-contractor delivering full fibre infrastructure for communication networks as well as upgrading existing copper cable outside plant. Multi-national companies and utility businesses also use our services. Significant experience outside plant installation – Well versed in a number of deployment challenges, we can deliver successful routing whether aerial, direct buried, or underground in duct.. We have particular experience in delivering long cable pulls requiring lubricants and kinking prevention. Full project planning and scheduling of labour and materials – Providing much more than simple man power, our operations are backed by a considered and consultative approach to project planning that ensures deployment runs to time. If you’d like to find out more about DTC’s infrastructure services, please just give us a call on +44 (0) 1869 810 600.